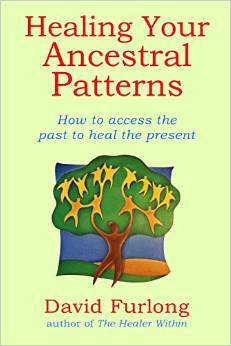 Healing Your Ancestral Patterns is the definitive book on ancestral healing. This edition is fully updated. Puchase your copy now by clicking the link above. This is one of the most fascinating branches of healing that at present gets very little attention. A significant part of our life patterning stems from our genetic inheritance. In many cultures, both sophisticated and primitive, a great deal of attention is given to the ancestral family, for ancestor worship is one of the most widespread of all religious belief systems. In Taoism time is regularly set aside for consulting the ancestors and prayers are offered up on their behalf. The same was true in Ancient Egypt and we have some textual accounts of the specific requests that were made to the ancestors to help resolve daily problems. The ancestors were seen as having a direct link with the spiritual world and therefore in a position to bring positive benefit to the family. It was perhaps also intuitively realised how directly their energies affected the world of the living family. "The parent/child connection manifests as one link in a long chain of ancestral karma that stretches back through time. Your link to your family allows you to be born into that specific line - it is a link that needs to be understood and respected. In this modern scientific age it is very difficult for people to accept the fact that they are responsible to their ancestors, that they are actually liable for the actions of their ancestors if the resulting karma has not yet been dissolved. Many find it absurd to think that the actions of an unknown ancestor could possible have anything to do with what is happening to them today. But time and time again when investigating someone's karma, I find problems that stretch back generations. Their spirit is not just an individual entity, it is also part of the family spirit that births and nurtures it." At a spiritual level time and space impose no restrictions so, in one sense, your ancestors are living concurrently with you. This can be a hard concept to take on board, for the Western mind has become conditioned into thinking only in linear terms. Other cultures not so restricted accepted a much greater fluidity in the movement between past present and the future. The ancestors were alive and connected to them. In propitiating the departed they were positively helping the flow of Ch'i in their lives. In Western culture we have forgotten much of this inner knowing, for how many of us think about or even remember our grandparents, let alone our great grandparents. From my own experience it is generally not necessary to go back further than your great grandparents generation, although the Bible talks about the sins of the fathers "even unto the third and fourth generation" that is to say your great great grandparents. The concept behind this form of healing is quite simple. It suggests that where traumas, problems or strong types of behaviour have occurred with one or other of your forebears, the energy from this experience gets passed on to future generations. This is so even if the experience happens after the direct offspring have been born. Conversely if you heal one of the ancestral patterns it becomes immediately available to your own offspring. The reasons why this should happen is I believe based on 'resonance'. We carry at a genetic level the resonant patterns of our forebears which, like a radio set tuned to our ancestors, allows a transfer of energy or information to take place. Healing this type of situation can be carried out in exactly the same way that you would apply 'distant' healing. You do not need to have a clear picture in your mind of the way that your ancestors looked for the healing to be effective. In his book "Healing the Family Tree" Dr. Kenneth McAll recounts a case of a women in her early thirties who suddenly developed a fear of water. Researching into her family patterns she found that an uncle had died in the Titanic disaster. A healing service was carried out in which the uncle was "committed.... to the Lord". Healing this ancestor freed the women from her phobia. In most cases it is only necessary to deal with your direct ancestors, that is your parents, grandparents and great grandparents, but in some cases, such as the one just cited, healing another relative may also be appropriate. It is an interesting supposition that the enmity felt between the Arabs and the Jews could have an ancestral cause. Both trace their origins back to Abraham; the Arabs tracing their descent through Ishmael the eldest, but illegitimate son, whilst the Jews are descended from Isaac. Had both sons been treated evenly perhaps the present level of antagonism between these two races might never have occurred. In a similar way there are a number of aristocratic families in Britain that have family "curses" that appear to run inexorably down through the generations. Healing such situations must be based upon forgiveness and the acknowledgement of each others rights. Before you can consider helping others in healing ancestral patterns this way you first need to work on your own forebears. Sometimes the traumas carried by our ancestors can be very powerful and in these cases it can be beneficial to work with a therapist or friend. I have worked with a considerable number of people on ancestral healing with some amazing insights and release of blocked energy. Ancestral myths, too numerous to mention here, abound in many cultures. In the Ancient Egyptian story of Isis and Osiris, his brother Set cut Osiris into 14 pieces. This is a curious number that does not find echo in other traditions. However, it is worth noting that 14 is the sum total of your ancestors back to your great grandparents generation. Adding your parents (2), to your grandparents (4) and your great grandparents (8) gives 14 ancestors in all. It could well be that part of the symbolism of this myth is to do with healing our genetic patterning, through our forebears. In the myth Osiris is reconstructed by Isis which relates to the "love" principle within. Also your family tree chart mirrors exactly the developing tri-grams of the I Ching of Ancient China. This starts off with two lines yang _ and yin _ _ which represents your father and mother. The next line represents your four grand parents and then progresses to the 8 tri-grams that are the basis of the 64 hexagrams. The I Ching was originally used in Ancient China by the Emperor to consult with his ancestors for the benefit of his people. To start the process of ancestral healing you will need to construct a family tree chart filling in as much detail as you can. There are a number of Family Tree programs that can be downloaded from the Web to assist this process. It does not matter if there are blanks. You next need to consider whether any problems you are experiencing in your present life were similarly found in other known members of the family. If so the cause almost certainly lies within the family tree. If you do unsure upon which side to look you can either use a pendulum to dowse for the answer or, alternatively, I often get students to imagine a bright coloured spot-light is shining on their chart indicating which ancestor needs to be tackled first as part of the healing process. It is fascinating how often the obvious is not highlighted, but the attention is drawn to another of the forebears. Another method is to make up a set of 14 cards marking on each a separate ancestor. These can then be shuffled and an ancestor selected. Once this is done carry out the following exercise. Aim: To clear and heal blocked energy within your family tree. If you have not already done so look at the chart and imagine that a 'golden light' is shining on the ancestor who most needs integrating and balancing as an energy within you. 'Tune into' that ancestor, and try and sense what it is that needs healing and carry out a normal healing procedure in the same way that you would is sending distant healing. When you have completed this part of the exercise, sense or imagine that the new healing pattern is flowing down from that ancestor to yourself. See this energy integrated within your own being. Send a thought of thanks and acknowledgement and thanks to the ancestor before carrying out a closing down exercise. This type of healing can be applied to all sorts of conditions stemming from your ancestral tree. For example, if you are suffering from arthritis and there is a predisposition for arthritis in your family you can move back to an earlier ancestor who expressed this complaint. Carry out the healing in exactly the same way that you would with distant healing on a real person. You might need to do this on a number of occasions, seeking also to balance this on an emotional and mental level, as well as the physical. Finally, when you have completed the healing, sense that it is coming through the family tree to yourself. This exercise can be repeated until you have got to know and balance the energies of all your main ancestors. They will then become an integrated aspect of yourself and freed of any blocks that they might be carrying. 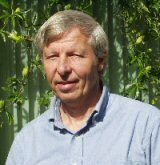 On the other side of the coin, as soon as you free blocks within yourself at this level it immediately releases this dynamic for your children, if you have any, so in a way you are also healing future generations, for each parent is potentially a great grandparent to a future generation. If I am giving healing to a person and sense that there is some pattern from the family tree that is impacting on their life. I will carry out a standard healing treatment on the ancestor and then look to integrate this within the individual. For example if I sensed that a trauma from a grand-parent, was affecting the life of a client, then I would spend time giving healing directly to that ancestor, before finally sensing that energy being re-integrated within the person. The book HEALING YOUR ANCESTRAL PATTERNS deals fully with the theme of Ancestral Healing. Click here for Ancestral Healing on one2one basis. In Taoism time is regularly set aside for consulting the ancestors and prayers are offered up on their behalf. the Bible talks about the sins of the fathers "even unto the third and fourth generation"
..as you free the family blocks within yourself, it immediately releases a new dynamic for your children.